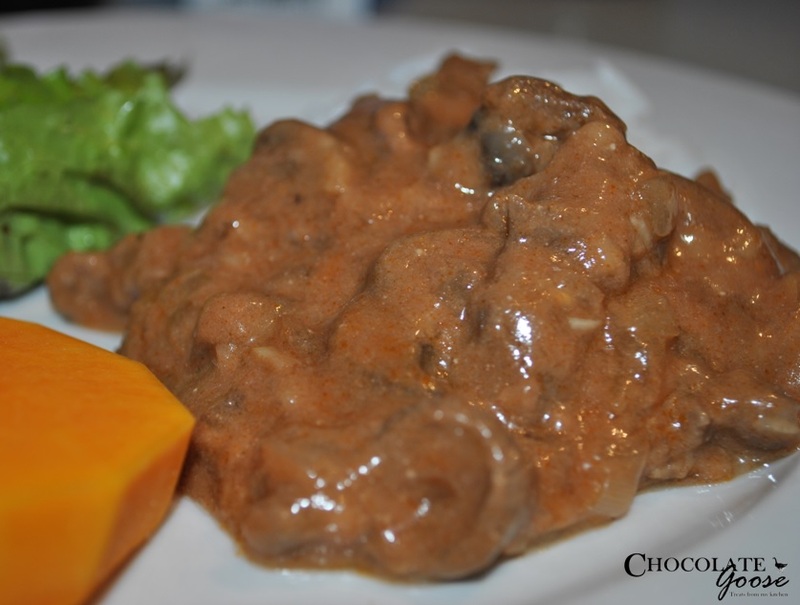 Stroganoff (or Stroganov) is said to date back to mid 19th-century Russia and is traditionally a beef dish, with either the strips or cubes of meat lightly coated in flour before being sauteed with onions and cooked in a sour cream sauce. There are now so many variations as this recipe spread throughout Asia after the fall of Tsarist Russia and then more particularly, after World War 2 when returning British and American servicemen took the recipe home with them. Some recipes call for tomato paste while others include a white wine version but either way, it is a great dish to add to any busy home chef’s repertoire. Served with rice or pasta, it can either be cooked relatively quickly after a full day’s work using more expensive cuts of meat like rump or sirloin, or if you prefer, buy cuts like gravy beef or shin, casserole steak or even schnitzel which are full of flavour but are tougher cuts of meat, and let it idle away the hours in a crockpot. Apart from coating the strips (or cubes – I tend to stick with strips) of meat with flour and gently sauteeing them with chopped onion and button mushrooms, there really is very little work involved. Instead of rolling the beef around in a bowl of flour which can be very messy, simply place the strips/cubes into a sealable plastic bag. Add the seasoned flour. Seal the bag and give it a little shake or fondle, using your fingers to separate the meat and ensure it all gets evenly coated, and then Ta Da!! No sticky gooey fingers!! Add the sour cream last, stirring it through the sauce just before serving. This dish works well all year round and is healthy and full of flavour. A tip from me? If you’re using rump or sirloin, please please please don’t overcook the strips. You literally sizzle them in the pan for seconds before setting them aside and continuing with the onions and mushrooms. The more expensive meat should ideally still be pink as it will cook through when added back to the pan with all the sauce ingredients. You just want a little caramelisation as that adds a lot of the flavour. The other cuts will need to be cooked for a while longer or they will be rather tough. I like to mess with the stock quantity sometimes, by combining stock and red wine, but beef stock works just as well on it’s own. Prepare the meat by cutting it into strips or use ready-cut pre-packed strips. Place the meat strips into a sealable plastic bag. Add the flour and seasoning. Shake or move the contents around until all coated evenly. Remove the meat strips from the bag reserving the flour. Gently saute the strips, a little at a time, in the oil until lightly browned. Set aside. Saute the diced onion, adding a little extra oil if necessary. Add the onions. Pour in a little of the stock to deglaze the pan of all the sticky, crispy bits of residue stirring gently. Add the tomato paste to the remaining stock and add to the pan, along with the meat. Simmer gently for a few minutes until the sauce thickens. If you prefer a thicker sauce, add a little of the reserved flour to the sauce and stir to ensure there are no lumps. Lastly, stir through the sour cream and adjust the seasoning just before serving.